SPRING 2019 INTERNATIONAL JURIED COMPETITION WINNERS! Digital art defines the contemporary. 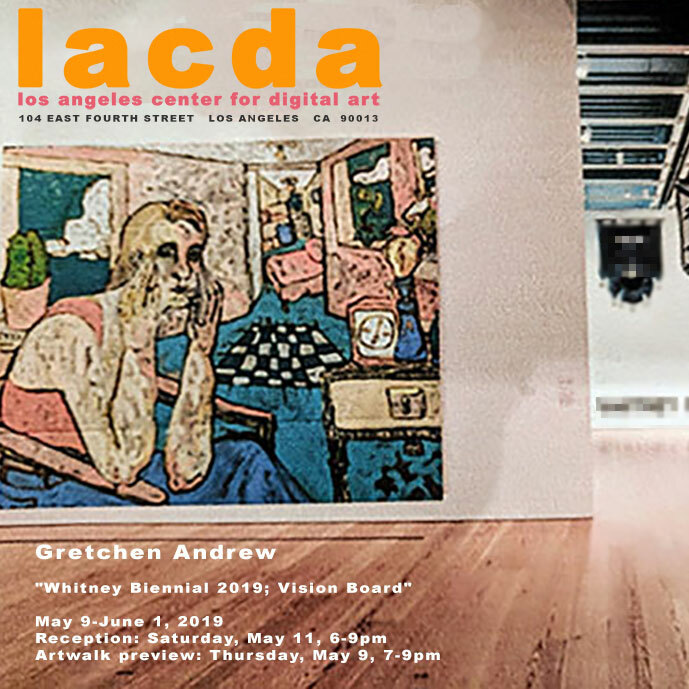 The Los Angeles Center For Digital Art is dedicated to the propagation of all forms of digital art, new media, digital video art, net art, digital sculpture, interactive multimedia, and the vast panorama of hybrid forms of art and technology that constitute our moment in culture. We are committed to supporting local, international, emerging and established artists through exposure in our gallery. We have an ongoing schedule of exhibits and competitions, produce editions of wide format archival prints, and collaborate in the production of digital artworks in our studio. 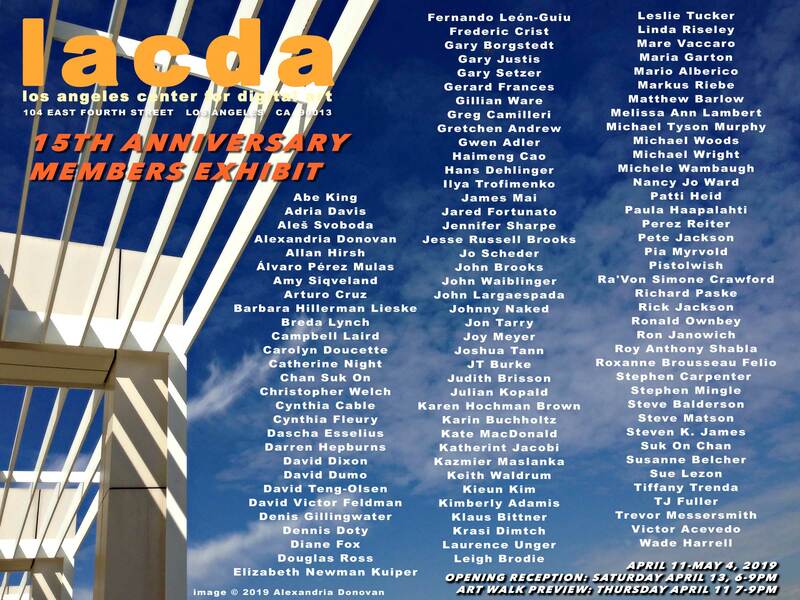 As well we are involved with curating digital exhibits at institutions and festivals outside of the LACDA gallery schedule. Rex Bruce featured in Fabrik Magazine: "The Didatics of Digitalism"